Now a mother of two, Deanna (Rix) Betterman, who made headlines a decade ago by thumping the boys, sets her sights on a berth on the U.S. team. That’s all Deanna Betterman wants. For 10 years she’s chased a spot on the U.S. Olympic women’s wrestling team. Now 28 and a mother of two, she knows time may be running out. So she’s focusing everything she has on the U.S. Olympic Wrestling Trials, which will be held April 9-10 at Carver-Hawkeye Arena in Iowa City, Iowa. Betterman, the daughter of Marshwood High wrestling coach Matt Rix, is looking to make the same headlines she generated in 2005 when she nearly won a high school state championship at Marshwood competing against boys. She’s going to have to be at her best at the trials because her weight class – 53 kilograms (117 pounds) – is loaded with talent. Only the winner gets the Olympic berth. Four years ago, Betterman’s Olympic dreams ended when she discovered she was pregnant a couple of months before the Olympic trials. She and her husband, Joe Betterman – a former Team USA Greco-Roman wrestler who had to retire from competition after having surgery to repair bulging discs – have two children, a 3-year-old son, Mason, and a daughter, Madison, 18 months. Being a mother has not dampened her desire to compete in the Olympics. If anything, it has fueled the dream. It’s not unusual for mothers to compete in the Olympics. Twenty-one members of the 2008 U.S. Olympic team in Beijing were mothers. At the London Olympics in 2012, there were 12. Among them: soccer player Christie Rampone, volleyball player Kerri Walsh Jennings, basketball player Candace Parker, swimmer Dara Torres and marathoner Kara Goucher. But it can be a difficult balance, obviously, especially now as Betterman tries to cut down her weight after wrestling at 59 kilograms (about 130 pounds) in the past. “I come home and I’m tired,” she said. “And I have to have energy to play with the kids, or make dinner. In some ways it’s hard. 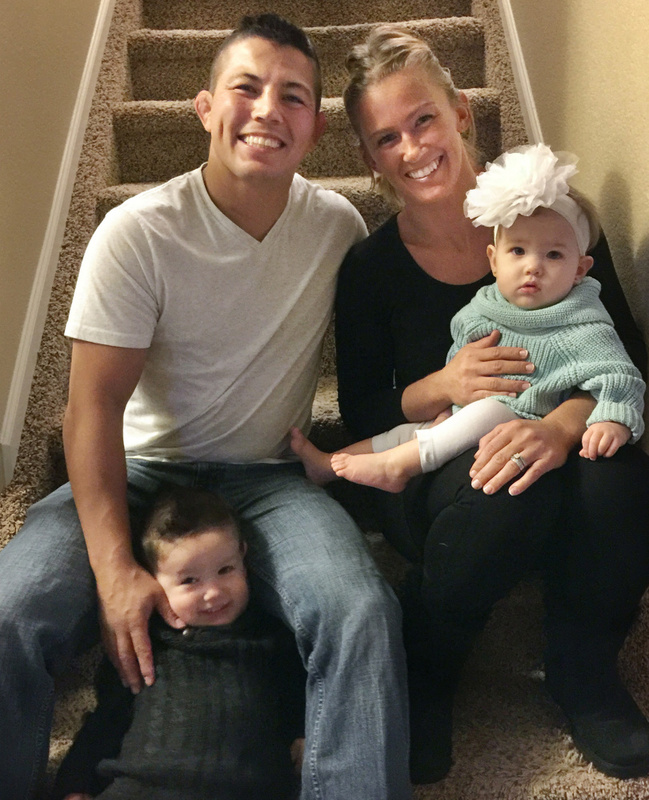 Over the years she has seen many wrestlers her age leave the sport to marry and start families. Even now, many of the younger wrestlers ask her how she does it. Terry Steiner, the U.S. women’s head coach, said being a mother seems to have made a difference in Betterman’s life. “There’s a lot of power in that,” he said. “She’s juggling some things, which isn’t a bad thing. Sometimes, when it’s the only thing we do, it can be detrimental to us. She’s married and has two young children who need her attention. When she comes into the wrestling room or to work out or to lift weights or to run, it’s probably the most relaxing time of the day for her. It’s time for her to spend time on herself. Betterman was always driven to succeed, especially after a high school career that grabbed national headlines. She won 100 career matches at Marshwood, all against boys, and came within four seconds of a state championship as a senior, losing 2-1 in double overtime on an escape point. But she struggled when she left home for Northern Michigan University and to train at the U.S. Olympic Training Center. She was on her own for the first time and had trouble adjusting. She stopped wrestling altogether for a while. When she returned, she regained the edge that put her on track to make the Olympics. Twice she finished fifth in the world championships for the U.S., in 2008 and 2009. Even then, her life was jolted when her younger brother Matty died of a prescription drug overdose in 2009. Steiner said everything that has happened to Betterman has brought her to this point in her life. Betterman knows she was probably at her prime leading into the London Olympics in 2012, when her first pregnancy occurred. She took a year off after Mason was born, wrestled for a year, then became pregnant with Madison and took more time off. Competing at a lower weight class in the past year, Deanna Betterman, top, wrestles Haley Augello in a practice this week at the Olympic Training Center in Colorado Springs, Colo. But dropping three weight classes is not an easy thing to do. In addition to having to shed about 18 pounds, she’s now competing against wrestlers who are more agile and quicker. “At 130 pounds, I thought she could control the pace and speed of the match,” said Matt Rix, her dad. “At 116, things got a lot quicker. I saw her in April (in her first match at that weight class) and I was concerned. She had a tough tournament. Her results this year – including a third-place finish in an international field and fourth at the U.S. Open – have been encouraging. But the 53-kilogram class may be the deepest in terms of talent and experience. It includes the top three U.S. wrestlers at 53 kilograms, as well as the top three at 55 kilograms, who are dropping down a weight class because 55 kilograms isn’t an Olympic weight. The biggest threats may be Whitney Conder (No. 1 at 53 kilograms and a bridesmaid at Betterman’s wedding) and Helen Maroulis (No. 1 at 55 kilograms). And she’s trying to pass her knowledge along. She and her husband coach at the James Irwin charter school in Colorado Springs in the spring, and they run the Betterman Elite Wrestling Club. Most of their students are boys, but she said they have some girls involved as well. Whatever Betterman decides, Steiner said, she’s already made her mark on her sport.